The birth of a SMURF. The development of a new smurf starts with a sketch. Peyo, the designer of the smurfs, gives this drawing to the drawing office, where it is further developed. Once the drawing is approved, the manufacturer starts his work. The artist makes the first “pre”-model of wax and afterwards of plaster. The plaster model is painted to get a correct impression of the new smurf. 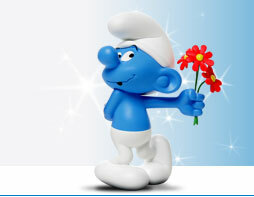 Once this is approved the production process can start: making the smurf. Ich Denk' An Dich !! The Voice to Jokey Smurf In The USA. She Also Signed The Card.